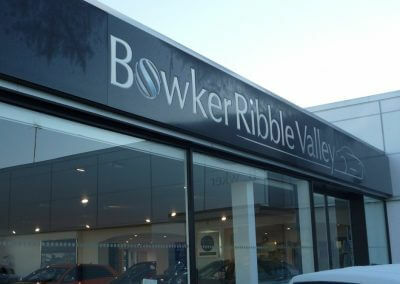 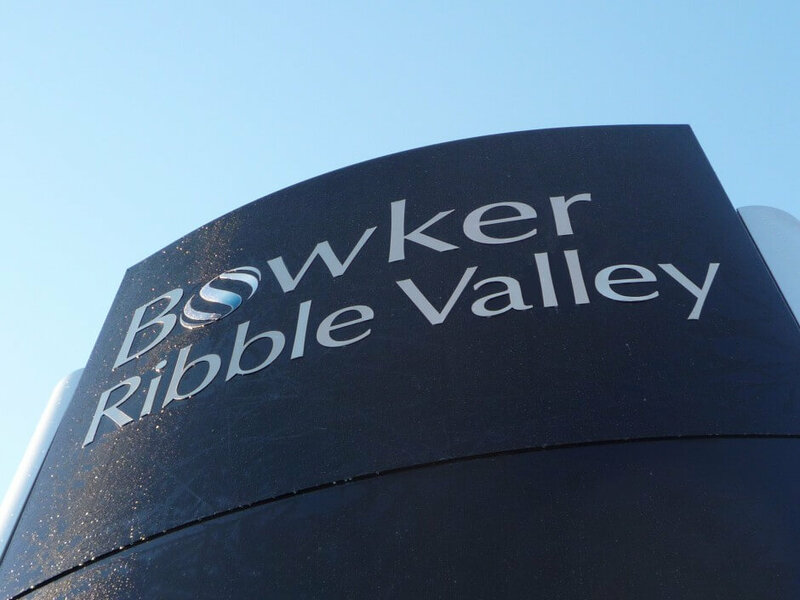 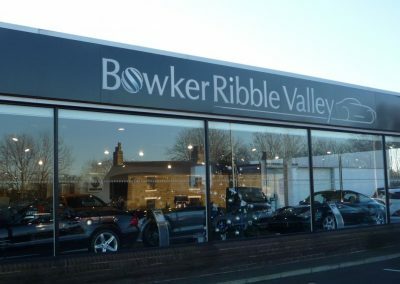 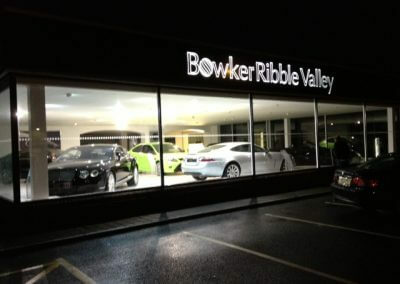 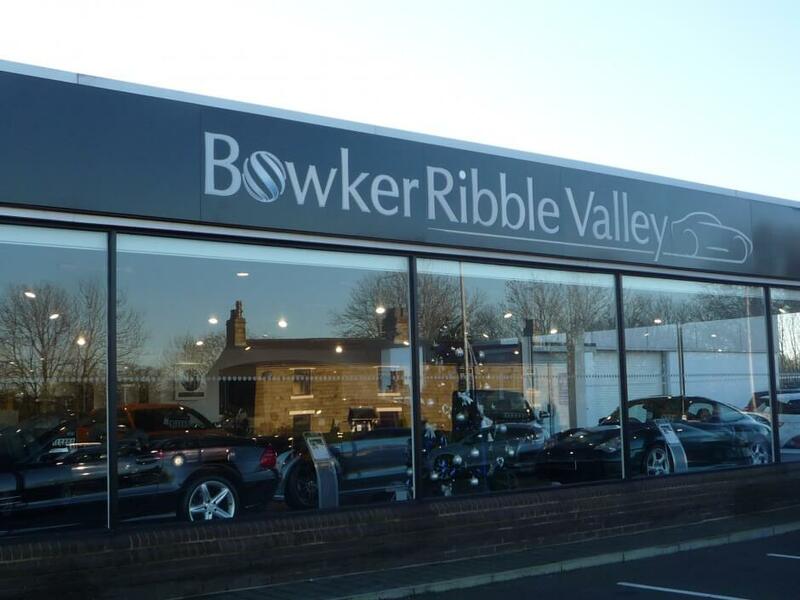 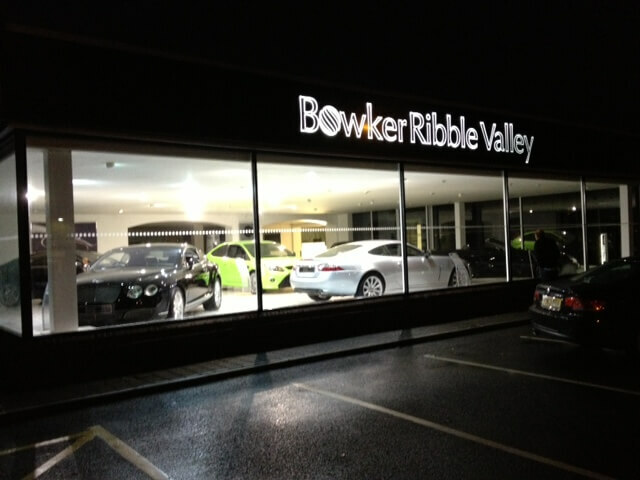 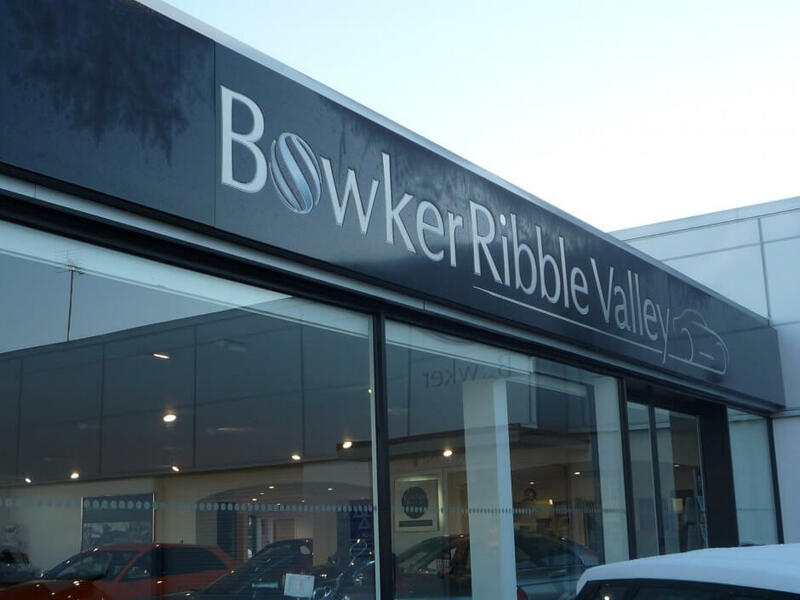 We were recommended to Bowker Motor Group for the implementation of their new brand identity for the opening of their first non-franchise Bowker dealership in Osbaldeston near Blackburn, Bowker Ribble Valley. 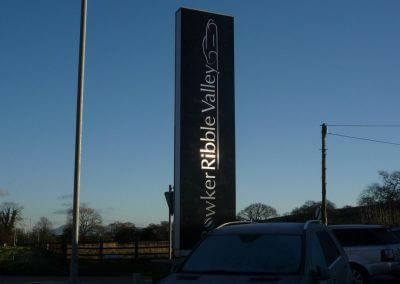 The project consisted of the careful removal of the old branded signage and the installation of the new. 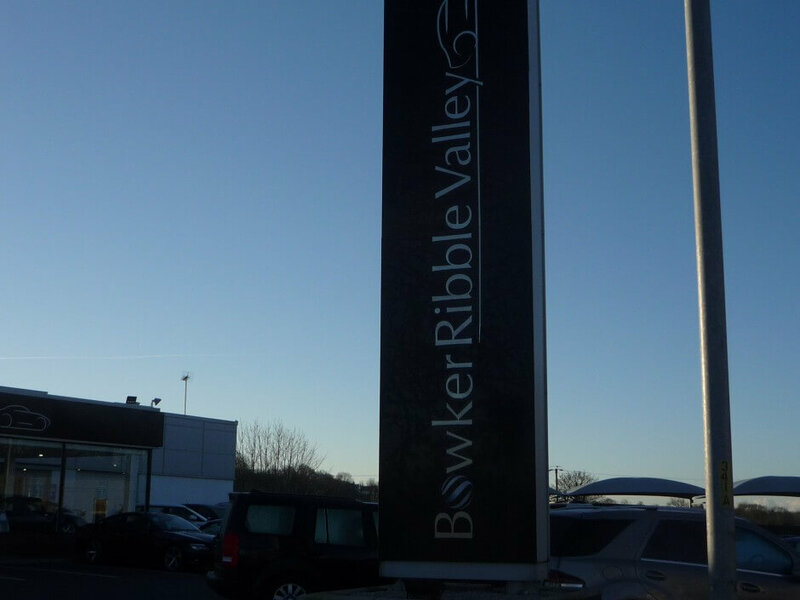 The 40 linear meter fascia sign was fabricated from 3mm aluminium sheets. 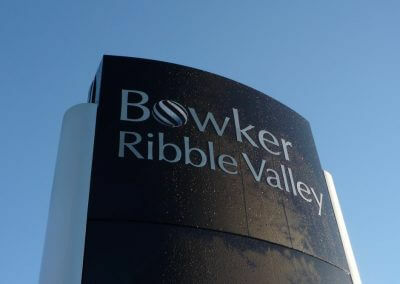 The sheets were laser cut and folded to size with the letter cut out. 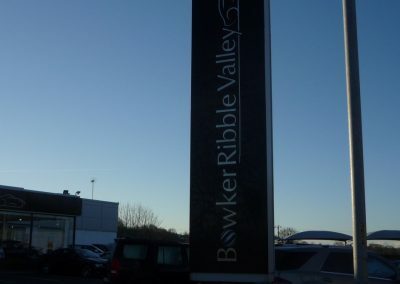 The panels of the sign were powder coated in black stain. 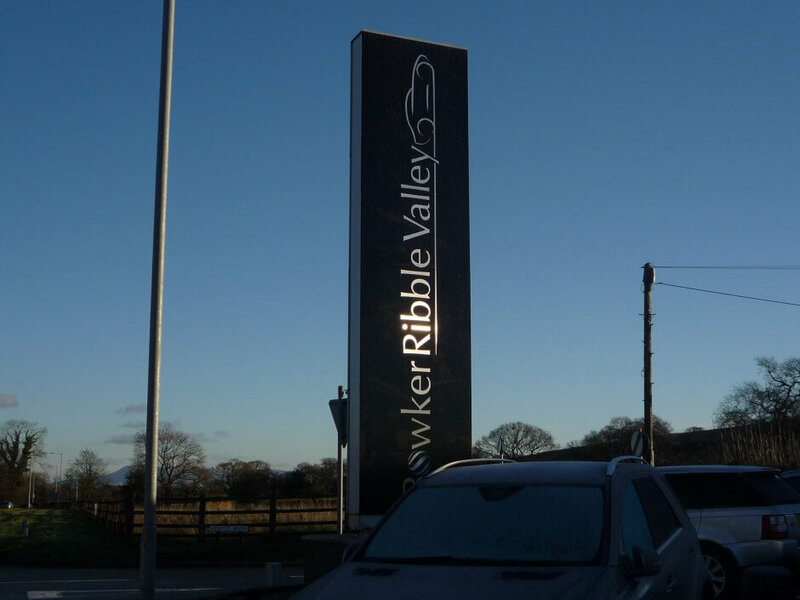 The lettering made up of brushed stainless steel and then bonded onto the opal diffuser panel to the light to create a glow around the letters at night. The sign was illuminated using white low LED lighting. 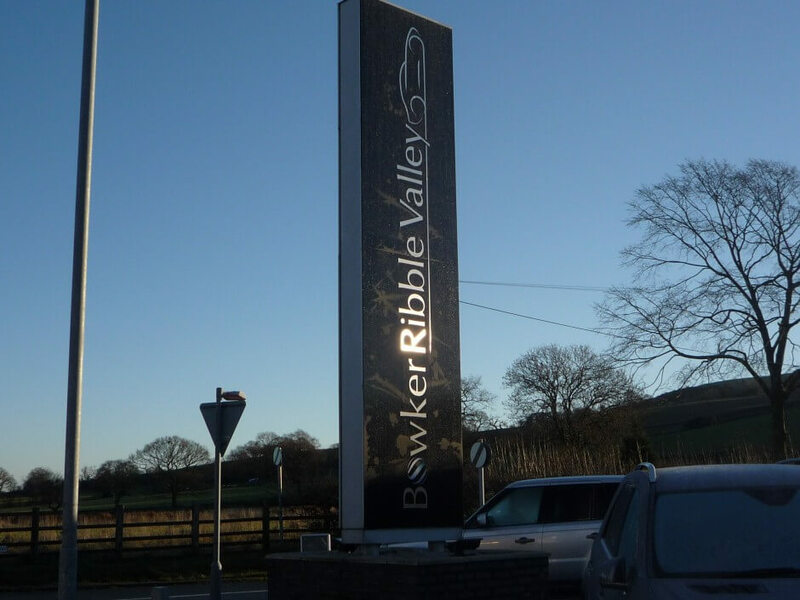 The totem sign was refurbished and replaced with new panels, we used brushed stainless steel for the lettering.